Adobe Illustrator Cheat Sheet – Download for FREE! 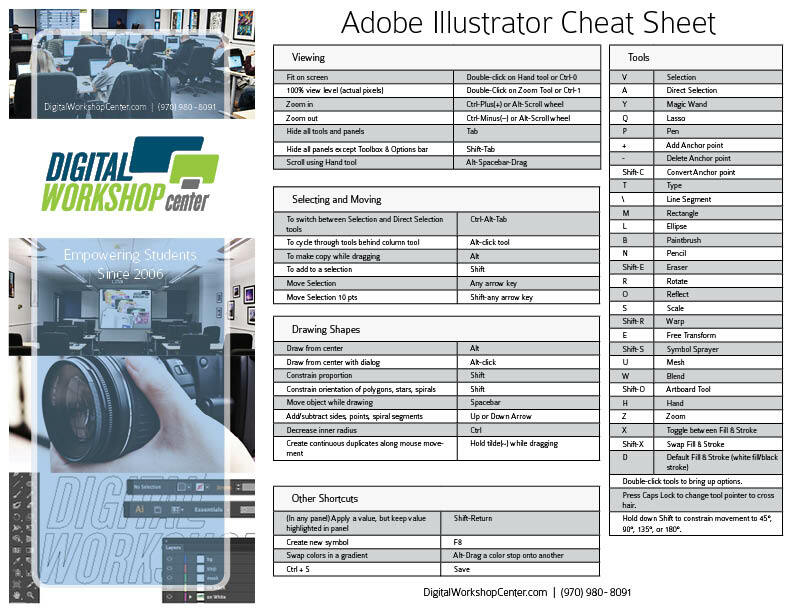 The Digital Workshop Center provides free cheat sheets on many popular software applications. 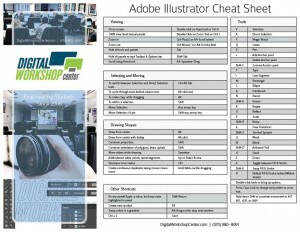 If you are looking for a quick Adobe Illustrator cheat sheet, then we’ve got just the thing for you! The Illustrator cheat sheet includes several useful shortcuts and common commands to help you be more efficient and confident while working in Illustrator. Several of these commands are included in our hands-on Illustrator Level 1 training class, so if you need more Illustrator help please contact the Digital Workshop office. Stay tuned for more cheat sheets coming soon!